Mohaather and Dandhu pressed their respective Classic claims as they took starring roles at Newbury on Saturday. Having claimed the Horris Hill at the Berkshire track on his final start at two, Mohaather showed he had clearly trained on when finding plenty in the Watership Down Stud Greenham Stakes to get the better of Great Scot by three-quarters of a length. Trainer Marcus Tregoning said of his Sheikh Hamdan-owned 9-2 scorer: "It is what we all aspire to (have Classic runners). Hopefully he can progress and I'm sure he will as he has got a good temperament. 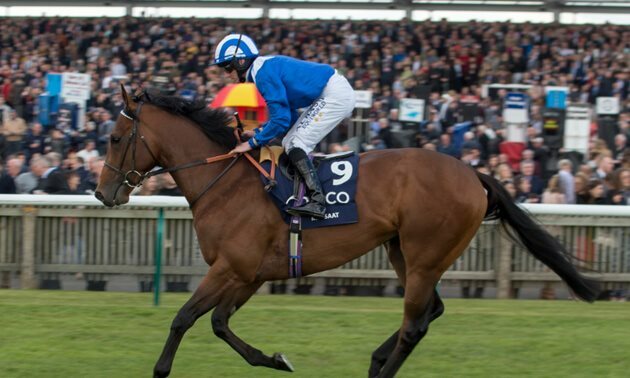 "He has got plenty of pace, personally I think he will get the mile on faster ground, but they go a different pace and there are many more runners in the 2000 Guineas and it is a different test. 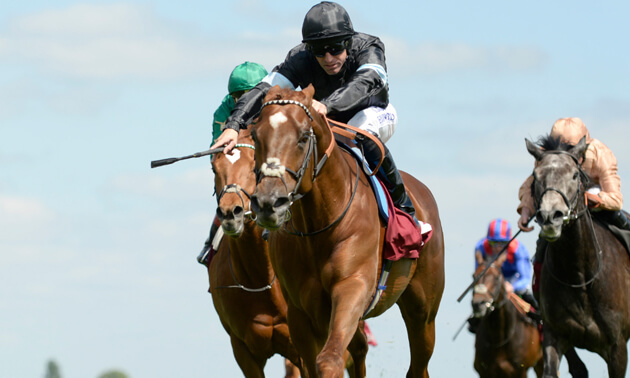 For all the big-race success David Elsworth has achieved, victory in the 1000 Guineas has not come his way. However, Dandhu (8-1) could potentially set the record straight after getting up by a short head in the (Group Three) Dubai Duty Free Stakes, better known as the Fred Darling. Another cracking finish at @NewburyRacing goes the way of Gerald Mosse yet again as he guides DANDHU to victory on the (Group 3) Fred Darling Stakes! Elsworth said of his winner, who was completing a double for rider Gerald Mosse: "I thought she would need it and she will probably benefit from it, but she looks pretty fit. "I'm worried about the ground and that is why I ran her here and not there (Newmarket). It is an undulating course, that mile. Of course we will go (1000 Guineas) if we can, but it is a long season." Hughie Morrison will consider giving last year's Melbourne Cup runner-up Marmelo a third shot at the 'race that stops a nation' after he got up in the dying strides to initiate Mosse's brace, taking the (Group 3) Dubai Duty Free Finest Surprise Stakes by a length. What a finish at @NewburyRacing! 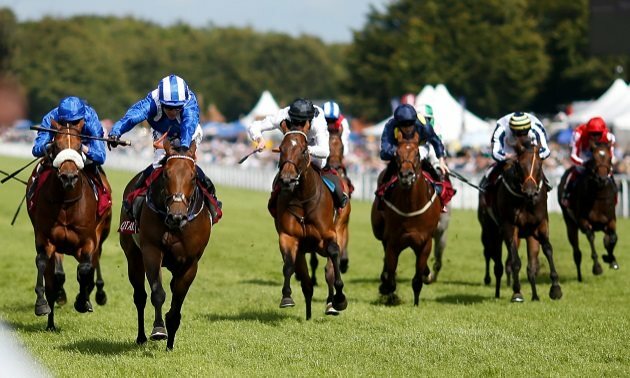 Melbourne Cup runner-up MARMELO swoops late to land the (Group 3) John Porter Stakes under a classy Gerald Mosse ride! Morrison said of the 7-1 winner: "I think as they (owners) are an owner/breeder they would love to win a Group One, but you could still do both and go to the Melbourne Cup. Why not, as he is a fantastic horse." The Alan King-trained Chatez (16-1) was a narrow victor in the MansionBet Spring Cup, while Andrew Balding was in double form with Raise You and Fox Chairman. There was some decent Flat action at Naas, with Magical triumphing in the (Group Three) Alleged Stakes. Last seen finishing runner-up to Enable at the @BreedersCup, MAGICAL gets het 2019 campaign off to a winning start with victory in the (Group 3) Alleged Stakes at @NaasRacecourse for Aidan O'Brien & Ryan Moore! 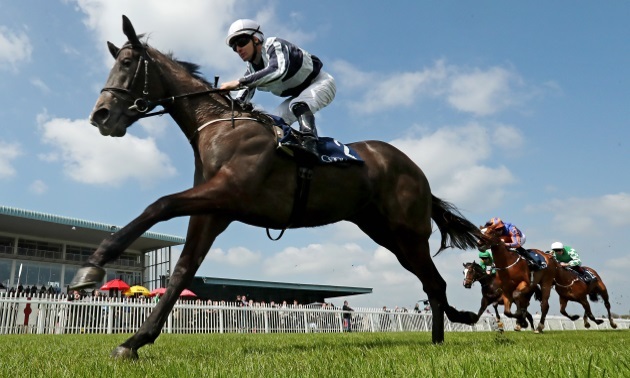 Trainer Aidan O'Brien said: "She has the choice of going for the Ganay in two weeks or go for the Mooresbridge and on to the Tattersalls (Gold Cup). "What we thought we would do is give her a few runs, a little rest and then the autumn." Imaging was a hard-fought winner of the other (Group Three) on the card, the Gladness Stakes, for Dermot Weld. 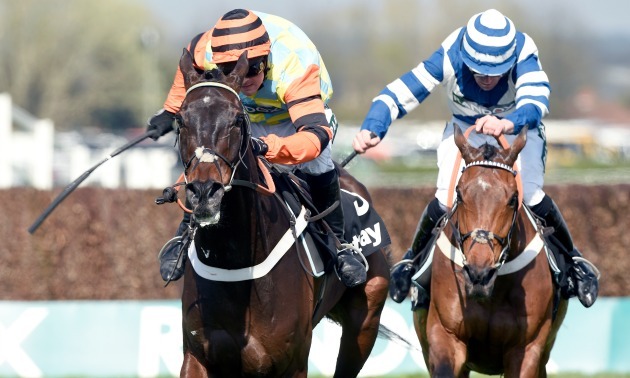 Quick ground at Ayr resulted in plenty of non-runners, but Takingrisks clearly relished conditions as he caused a 25-1 surprise in the Coral Scottish Grand National for trainer Nicky Richards and jockey Sean Quinlan. Richards said: "He's been a grand one, very consistent, and I think the improvement is down to the cheekpieces. "This was always going to be his race if he had a big one in him." Verdana Blue was another to excel on the good to firm ground, turning the CPMS Scottish Champion Hurdle into a procession under top weight. She is a very good mare! VERDANA BLUE shows her rivals a clean pair of heels in the Scottish Champion Hurdle! Travelled powerfully under @Conbrace01 and sprinted away from them after the last! Nicky Henderson took the decision to hand 7lb claimer Connor Brace the biggest ride of his career, and he was repaid in style as Verdana Blue came home seven lengths clear. "That tells you how quick the ground is - she's lethal on this ground," said Henderson. "She's only rated 90 (on the Flat), so won't get in the Melbourne Cup. She's been on the go nine months, and I'd say she needs a break." Dan Skelton dominated the early exchanges on day two of Scotland's biggest jumps meeting, with two valuable wins thanks to Azzuri and Molly The Dolly while Secret Investor provided Paul Nicholls with his seventh win in the Jordan Electrics Ltd Future Champion Novices' Chase. All eyes were on the Andre Fabre-trained Persian King on Sunday as he made an impressive seasonal bow, winning by five lengths in the Prix de Fontainebleau at ParisLongchamp. 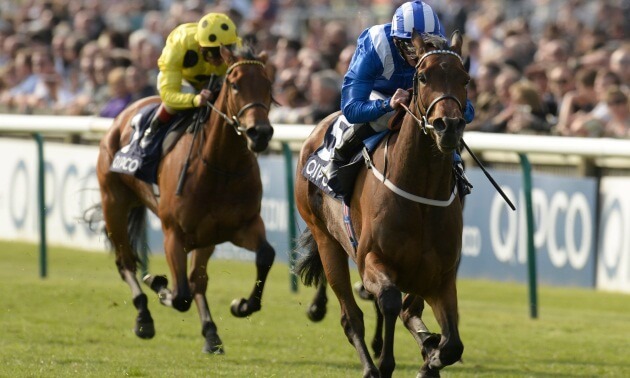 Persian King was cut to as short as 7-1 for the Qipco 2000 Guineas at Newmarket, but whether he heads to the Rowley Mile or remains on home soil to run in the French Guineas is up for discussion.